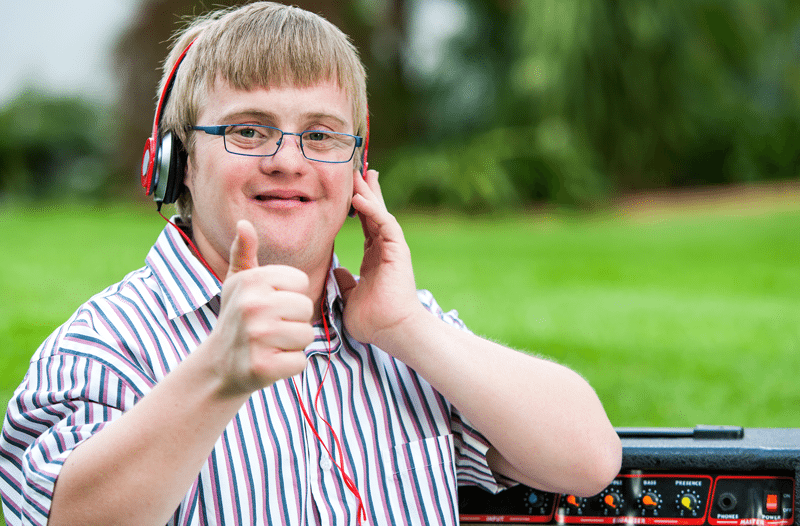 MusicWorx’s Transitioning Special Needs program is designed for 18-22 year olds who are nearing or have completed their involvement with the school system. Therapists provide a supportive atmosphere to provide music programs designed to assist young adults with leisure skills and facilitate their transition to non-academic life. Each program is unique and based on the personal preferences of the partnering agency. Services range from music therapy to supportive music and recreational music opportunities. Music therapists often alternate between a secondary location and programs at the Music Wellness Center, which is conveniently located just a ten-minute walk from the Sorrento Valley Coaster train station. We make sure that every participant gets the attention that they need and creates a positive, sensory-friendly environment for all.